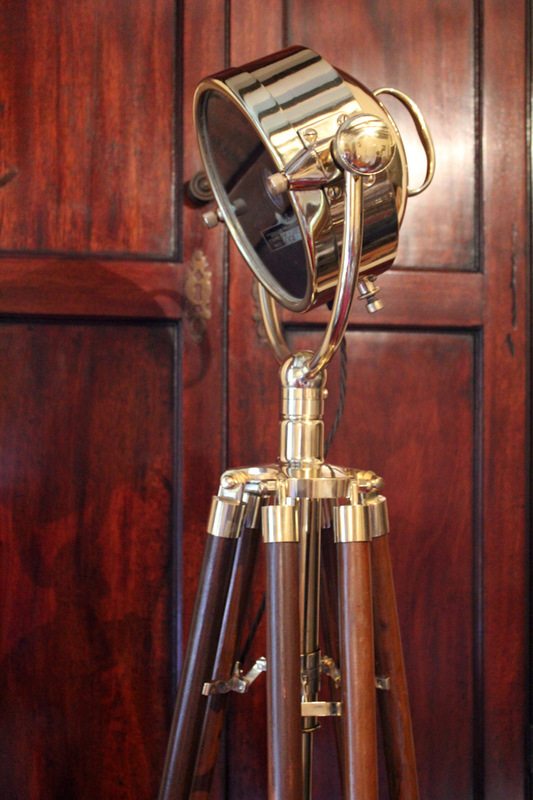 Fully restored a 1952 7" Brass Francis Searchlight from an marine vessel converted for home use. 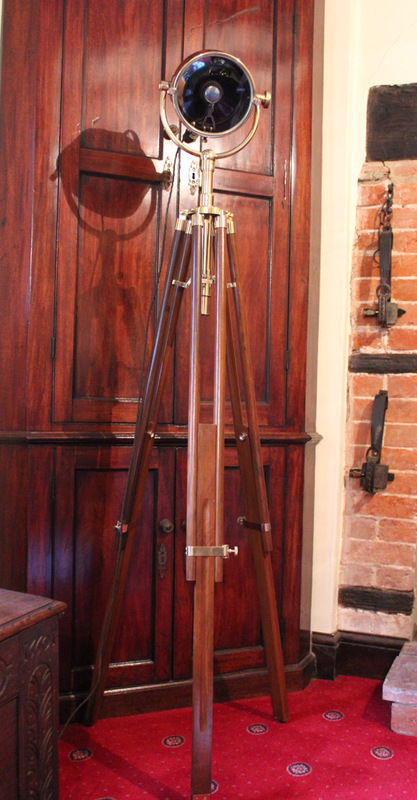 Matched with a stained rosewood and brass telescopic tripod. Fantastic condition having no dents. Original back handle and yoke bracket. Original front glass has no chips or cracks. Front knurled thumb screws are perfect. Original silvered glass back reflector has no chips or cracks. Fitted with a G9 light fitting for a G9 Halogen Energy Saving bulb. Equivelant to a 42W bulb. Bulb included plus one spare. Long CE 3 core brown braided cable with on/off foot switch. 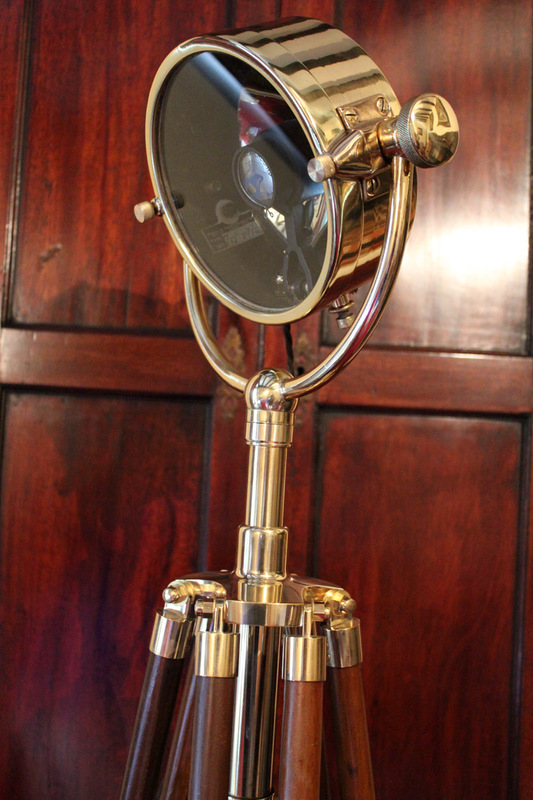 Tripod with brass hardware has a raise and full neck with inner sleeve to prevent slippage. Strong leg clamps, centre support and back stop discs. Rubber tipped feet, suitable for any floor type. Maximum Height: Approx 1.8m. Height and width can be set to suit.